FAQ - What are the specifics of the building structure? The main structure is made of galvanized steel channel sections and Z sections. The steel is 12 to 18 gauge depending on the the specific loads, members and size of your building. The structure consists of columns (the main vertical members), knee and apex bracing (smaller members to strengthen the connections of the columns and rafters), girders (smaller horizontal roof members), and purlins (smaller horizontal roof members). 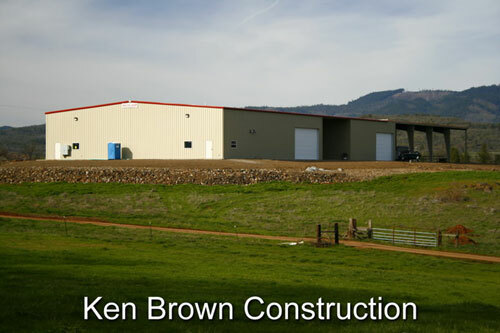 Our building packages are designed so that the building is structurally sound, even without the sheeting material.